Trim Soft Finish Perfect Pink cardstock to 5 1/2-inch x 5 1/2-inch square. I trimmed the second layer to 5 1/4-inch x 5 1/4-inch in Graphic 45’s Mon Amour from their Patterns & Solid collection. Die cut Stitched Circle in Soft Finish 85 lb. White, “Love” and Corners 1 in Pink Iris Shimmer Sheetz . I die cut my Rose 2 in Pink and Cherry and the greenery (leaves & Leafy Branch) in Premium Palette/Olive Green card stock. The Round Grapevine Wreath is die cut twice in Premium Palette/Dark Brown. 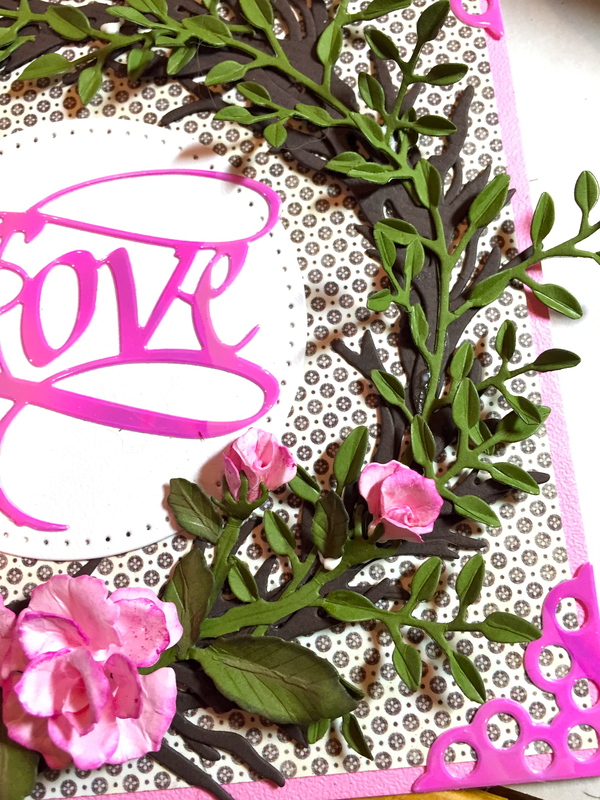 Suzanne Cannon’s calligraphy “Love” and Els van de Burgt Studio Corners 1 are die cut in Pink Iris Shimmer Sheetz with Clear Double-sided Adhesive for easy mounting. 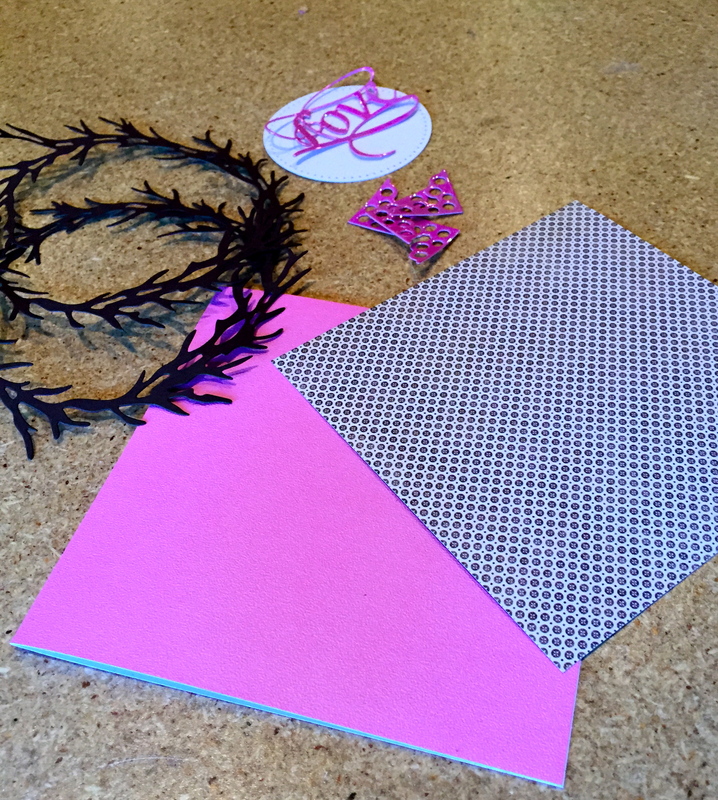 Assemble the card, using Clear Double-sided Tape on the layers and Stitched Circle. Peel off backing of the Corners and “Love” and set in place. 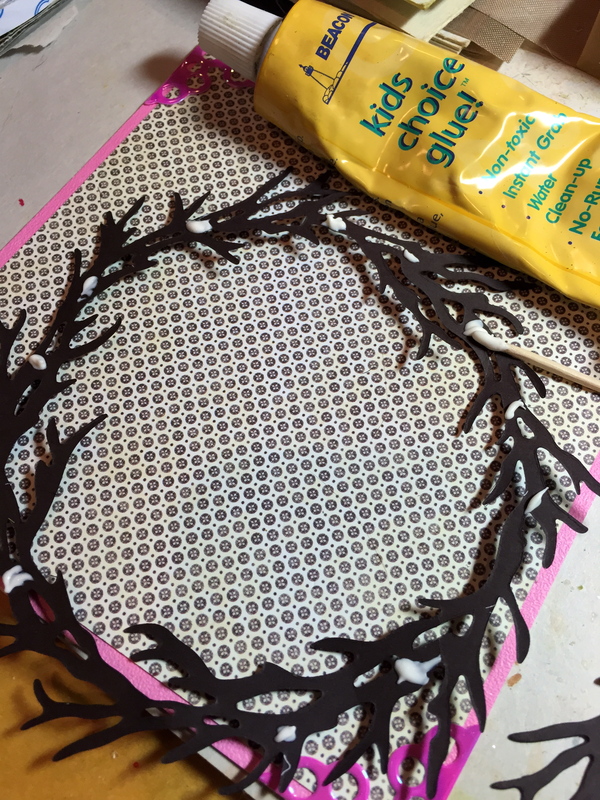 I use Beacon’s Kid Choice glue and a toothpick to apply a few dots of glue around the Grapevine Wreath. Glue one on top of the other, making sure you DON’T line them up. Having them askew makes a more natural wreath. 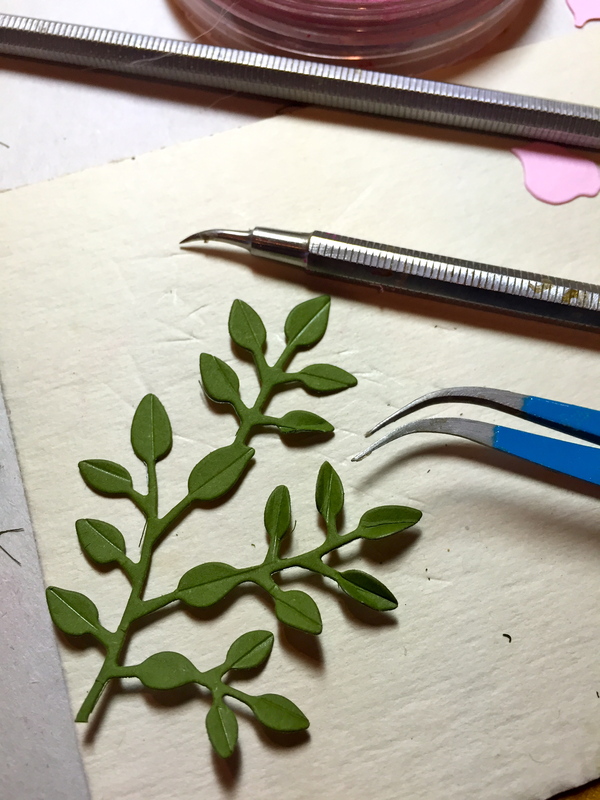 I die cut the Leafy Branch, 3 times and cut it in two pieces, then placed the pieces on my Leaf Pad and used my Leaf Tool to make stem lines. I used ECD’s small tweezers to pinch each one for a dimensional look. 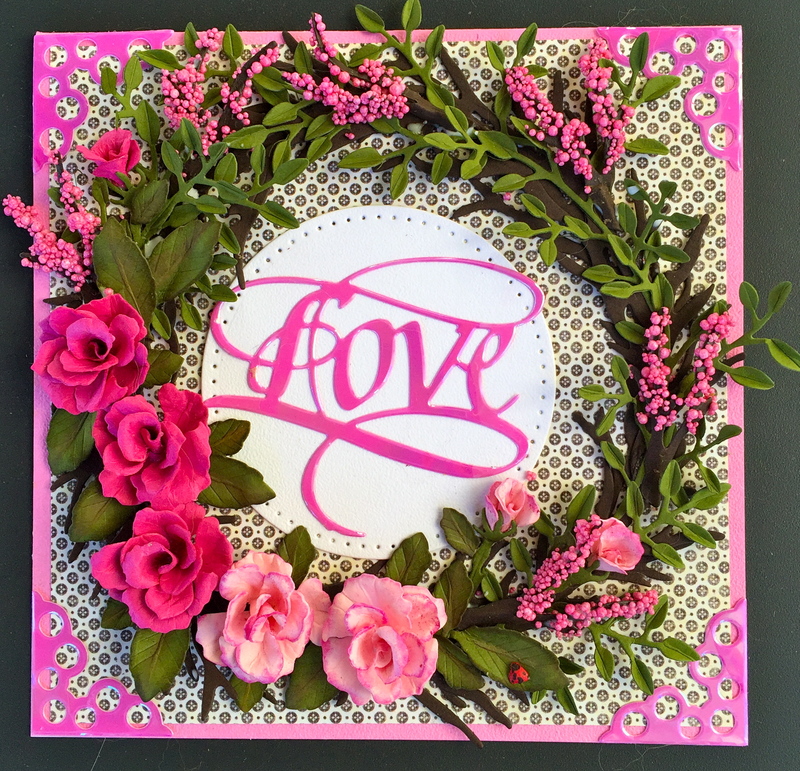 Create Roses; I did three in the Cherry and two in Pink Premium Palette card stock. 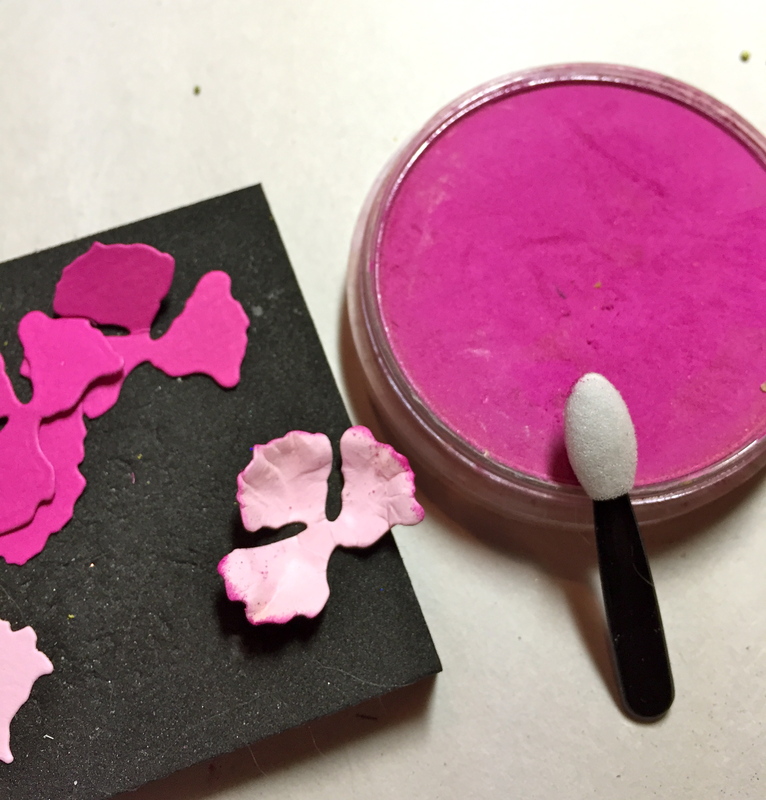 Look closely, I used PanPastel/Magenta to edge the Pink Petals. If this is your first time for making these beautiful flowers, I have a YouTube video to help you. I did not add the whole stem, but did cut the small piece of stem that holds the bud to add to the end of the spray of roses. Glue the Roses in place on the lower left side of the Grapevine wreath. I glued the Leafy Branch pieces around the rest of the wreath. Leaves, from Rose 2 set, are edged with Distress Ink/Forest Green, placed on the Leaf Pad and a stem line is drawn, using the Leaf Tool. 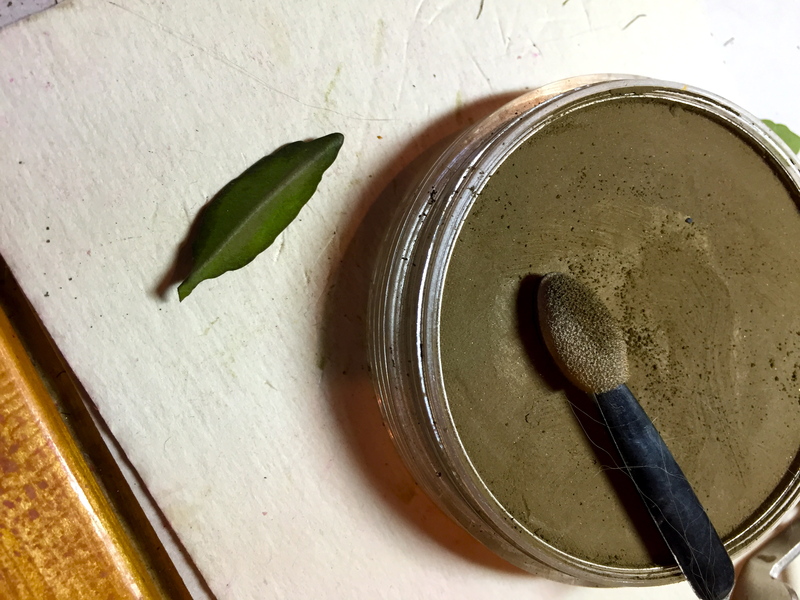 I highlighted that stem line with PanPastel/Raw Umber, then placed the leaf back on the Leaf Pad and drew vein lines on either side of the stem line. Glue leaves around the Roses and buds. Finally, for an extra “pop” of color (optional), I die cut the small branch from CountryScapes’ Woods 1 Birch Tree, applied Beacon’s Kid’s Choice glue with a toothpick to the branches and rolled them in Prills/Hot Mama. (A product that will also be available with Elizabeth Craft Designs shortly under Susan’s Garden products:-D) Of course, I added a Lady Bug to finish my project! I love the new Grapevine Wreaths! This is more than just a card, it’s a gorgeous piece of artwork worthy of framing! Then again, most if not all of your work is worthy of framing!! So beautiful! I pinned of course.